A recent report created by PwC explores the possible impact of the new Trump administration along with the additional top issues of 2017 and, rather than paging through the entire report (which is 23 pages long), we’ve put together this post to break out a few of the highlights. For President Trump, repealing and replacing the ACA is a top priority, yet details of his plan remain scarce. He has said in interviews that consumer would not experience lapses in coverage if the law is repealed, which would be good news if it turns out to be true. Many organizations are already starting to prepare for potential policy changes that could have an impact on business. The prospect of a complete repeal has become slightly less probable in the last few weeks, with Republican lawmakers admitting that it will take considerable time to address the ACA. Trump also says he’s interested in keeping popular parts of that law, such as preventing denial of coverage based on health status or age, but no one can be certain. 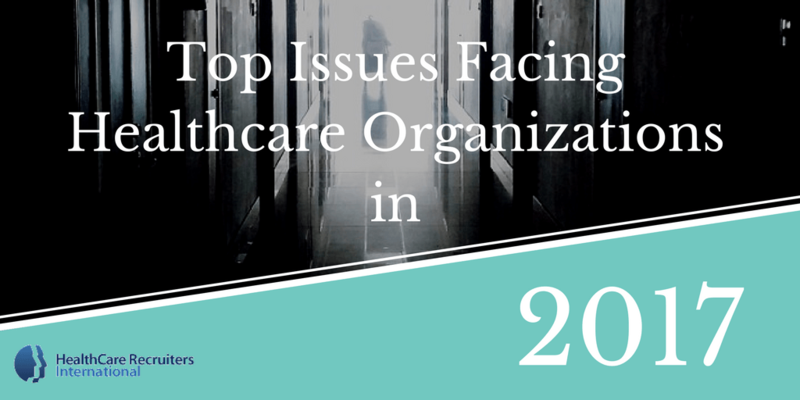 Some healthcare leaders are feeling optimistic about the changes Trump may bring and believe they may create strategic opportunities for health organizations and systems. Whatever the impact of change is, transitioning to a new approach will not happen overnight. Simply passing legislation does not guarantee a smooth and quick transition. According to the PwC report, it takes time, consumers need to be adequately informed and insurers need to be able to plan for it. 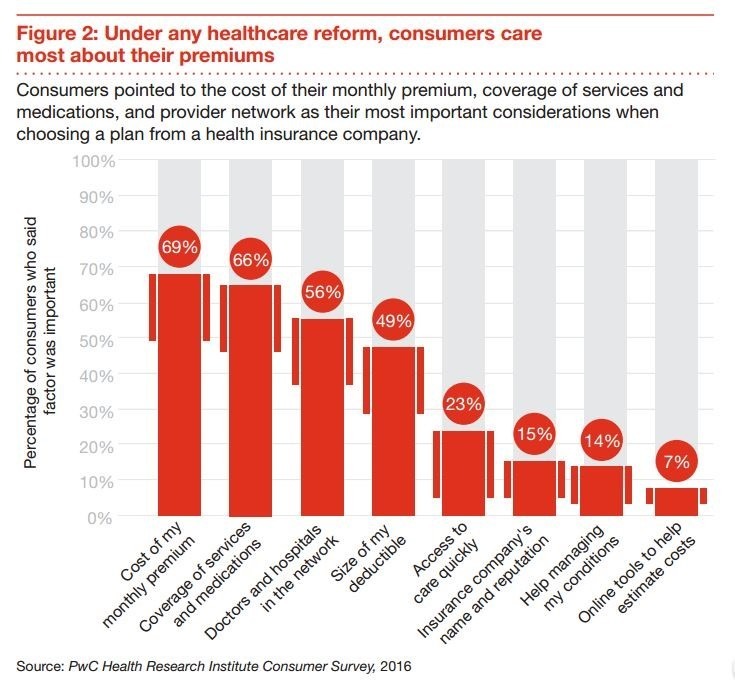 Under any healthcare reform, the top priority for consumers is their premiums, followed by coverage of services and medications and doctors and hospitals in network. Additionally nearly half of all consumers are concerned about the size of their deductive and access to care quickly. These technologies are best looked at together, rather than individually. The reason is that they work together and are best applied in coordination with each other. In order to successfully implement emerging technologies, new talent and expertise will be needed. Organizations will need to hire new talent, or “partner with enterprises stocked with these skilled employees.” Because technologies like AI, VR and Augmented Reality are sweeping through multiple industries, healthcare organizations will need to compete with tech, financial services and retail companies for workers such as engineers and designers. It may be potentially challenging for health organization to lure top talent away from the tech world. Public health agencies and private industry in the US and Europe are “pouring money into the development of new weapons to fight back.” 2017 will see a significant uptick in the amount of money earmarked for projects aimed at combating the spread of infectious disease. Within this is the task of addressing the spread of antibiotic-resistant bacteria, which kills 23,000 Americans each year. The Combating Antibiotic-Resistant Bacteria Biopharmaceutical Accelerator (CARB-X) announced plans to spend upwards of $500 million to research and develop new antibiotic drugs. If you want more insight into the report, I recommended visiting the PwC website to download the entire PDF. This blog only features a few of the top issues named, but there are ten total. A cloud of uncertainty hangs over the healthcare industry, and there are undoubtedly significant changes on the way that will affect everyone from the consumer to the provider and payer. Despite the momentous start to the Trump administration, many experts actually think that immediate radical changes are unlikely even if Congress tries to demonstrate that it is moving quickly to keep campaign promises. Given the amount of work involved, it simply may not be possible to move as fast as they’d like. Throughout the legislative process, we can now clearly see the reality of conflicting interests, ideas and agendas. However, everyone shares the common goal of wanting to keep insurance markets stable. If you work in the healthcare industry, as a leader or any other role, we’d love to hear your feedback on what you think 2017 holds for health systems, hospitals and startups.